Wracks- Are surgically altered to become a walking instrument of eternal torture. Hekatrix Bloodbrides- Are an unstoppable force in battle, annointed with blood from past foes. 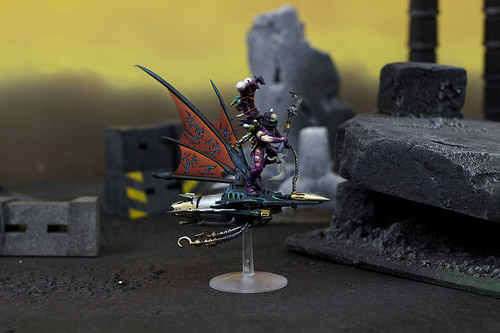 Take a look at our collection of gently used and like new Dark Eldar Models for the Warhammer 40k War Game. Even have them custom painted by our Blue Table Painting Staff!